I am happy to share one of my favorite side dishes with all of you! I created this delicious recipe about a year ago by accident. 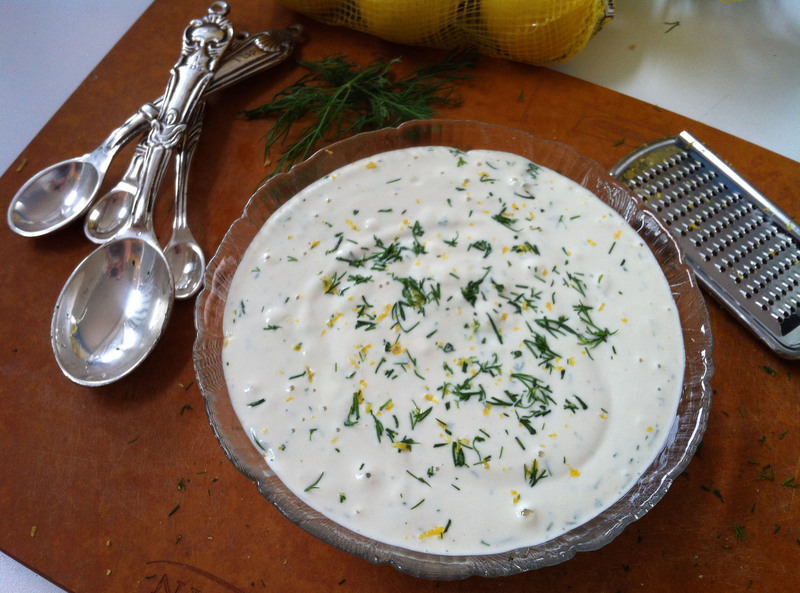 I wanted to experiment with cashew sour cream and different uses for it. I made a batch of the cashew sour cream and put it away in the fridge trying to figure out how to use it. Maybe on a baked potato, perhaps on top of some sweet potato chili, there are endless uses for the cashew sour cream. I had limited ingredients on hand so I started digging through the fridge. Eureka! I found it! A delicious bag of organic broccoli slaw. Which is how I came up with this idea for a picnic friendly salad that everyone can enjoy. I whipped up a batch and decided to put it to the test. I was living in a big loft apartment with four boys at the time. All which worship White Castle and their signature sliders and chicken rings (yuk!). I figured, if the boys like this recipe and don’t say anything about the “sour cream” tasting weird, I was golden. Everybody loved it! I was so excited to have a staple dish to bring to barbecues and brunches that suits many dietary restrictions. Once I had the boys’ thumbs up on the recipe, I decided it was good enough to bring as my contribution to an organic raw vegan potluck. It was a huge success and I had many requests for the recipe, which until now has been my little secret. 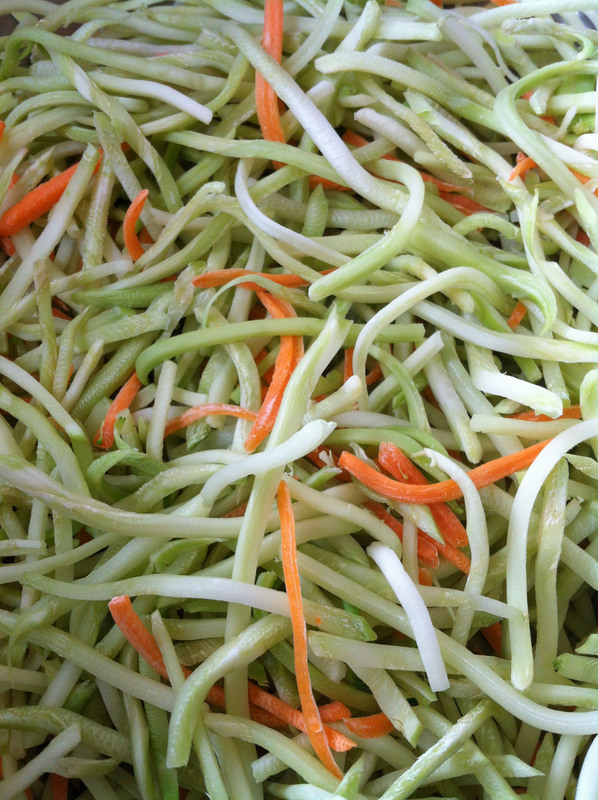 But I want you enjoy this creamy and crunchy slaw recipe as well, which will be a huge hit with all of your friends. Who knew that cashew sour cream could fool us all into eating such a healthy and mouth watering dish. Empty the broccoli slaw into a large bowl. 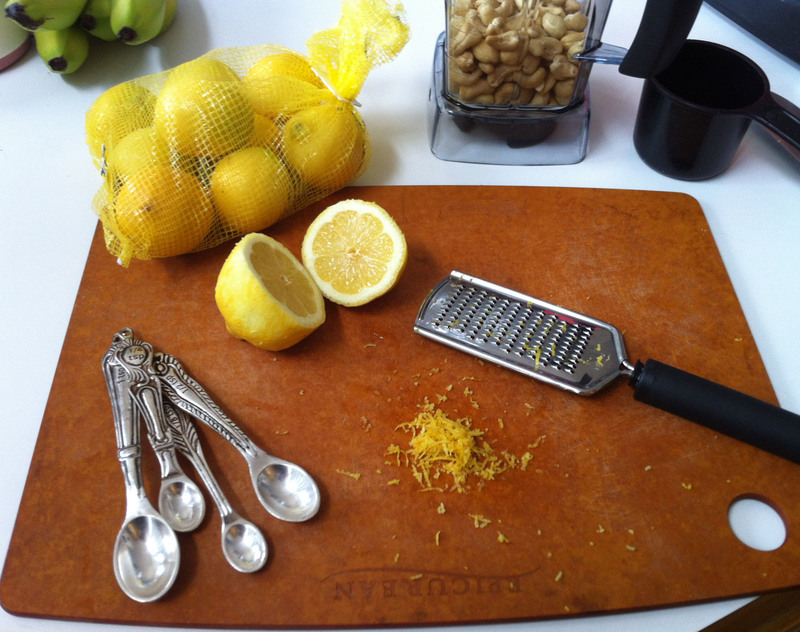 In your high speed blender, add cashews, lemon zest, black pepper, apple cider vinegar, lemon juice, sea salt, and cold water. Blend on low setting, slowly increasing until you reach full power. Keep on high for at least one minute or until your cashew sour cream reaches a creamy consistency, ensuring that there aren’t any lumps. Gently fold in your diced shallot, sunflower seeds, and chopped dill to the mixture. Pour the ‘sour cream’ mixture over the broccoli slaw and mix well. 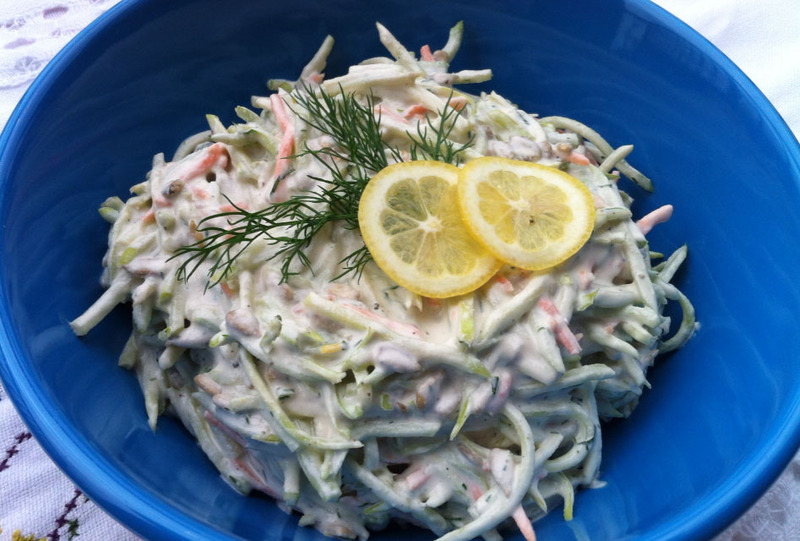 Serve with a garnish of lemon slices and dill. Voila! There you have it, a wonderful, quick, and easy side dish. that looks good enough to eat! and then finish and then make again and eat and repeat! Passing the White Castle-Boys test is good enough for me! Looks delicious. I have never made cashew sour cream before. Can you use it just like a substitute for sour cream? Even in cooked things? Broccoli slaw looks so tasty. Are they using the stems? I love it when you can eat up the whole plant! I have not tried to use it as a substitute in cooked things yet (will be soon). If I did, I think I would use a little less water to make a thicker mix. Since when heated, nut butters and nut products become thinner when heated. I used a bag of pre-made organic broccoli slaw from Trader Joe’s. You could use the stems of broccoli and a few carrots on a mandoline to make the 12 oz mixture yourself. If you try the recipe, let me know what you think. It is one of my favorites!